The best part of starting a new craft is the shopping, the discovery of all the delightful accessories that can help turn your plain, rolled beeswax candle into a work of art. My best idea so far has been Wilton Cake Accessories. 🙂 The darling little cookie cutters used for fondant are perfectly sized for cutting shapes out of wax for applique onto the completed beeswax candle. I have to say, I’m rather proud of us! Hazel and I worked on our candles for the first time since getting into business together. We not only had a lot of fun, but we completed a project worth to be put in our shop!. First we experimented with mini candles. These were considerably more intensive than I’d anticipated! And very difficult for little hands. 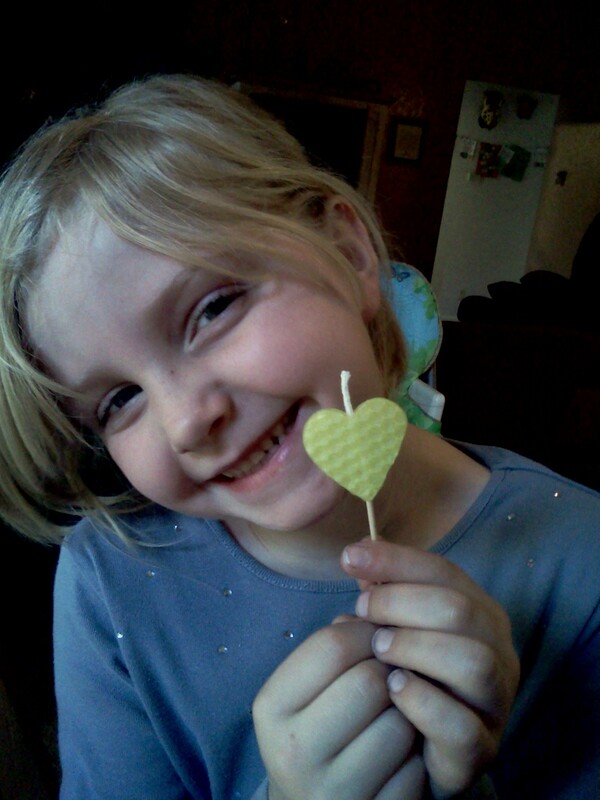 First we took our Valentine’s Day mini cookie cutter set and cut out a couple of hearts. The idea was to simply press the two layers together, sandwiching wick and stick, to make a mini candle! We really liked our end result and so got to work on the next mini candle. 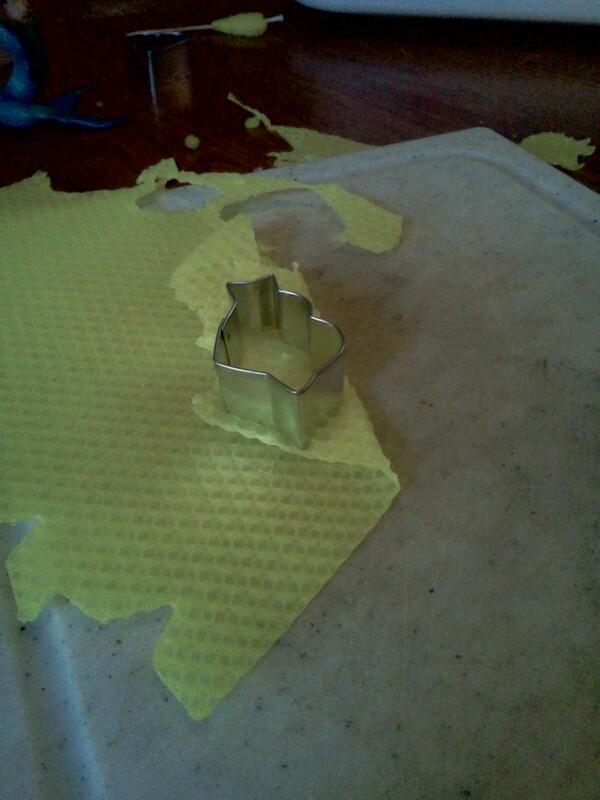 I handed Hazel the cookie cutter and told her, “ok, we need four pieces!” “MOM!” she shouted! Why do they have to shout when they’re sitting right next to you??? “WHAT?” I said. “Mom, cutting four is a lot of work. Look what we can do instead!” Then she folded the wax in half. Ah! Fantastic. She’s already working on problem solving. “This way,” she explained, “we can cut out two at a time!” This was a nice trick, but made it slightly more difficult at the same time. It takes a gentle hand to mash the two pieces together, otherwise the shape is obliterated. It only takes a few seconds! Beeswax is very sensitive and is easy to melt accidentally! Not that we had any problems with melting our shapes, lol. 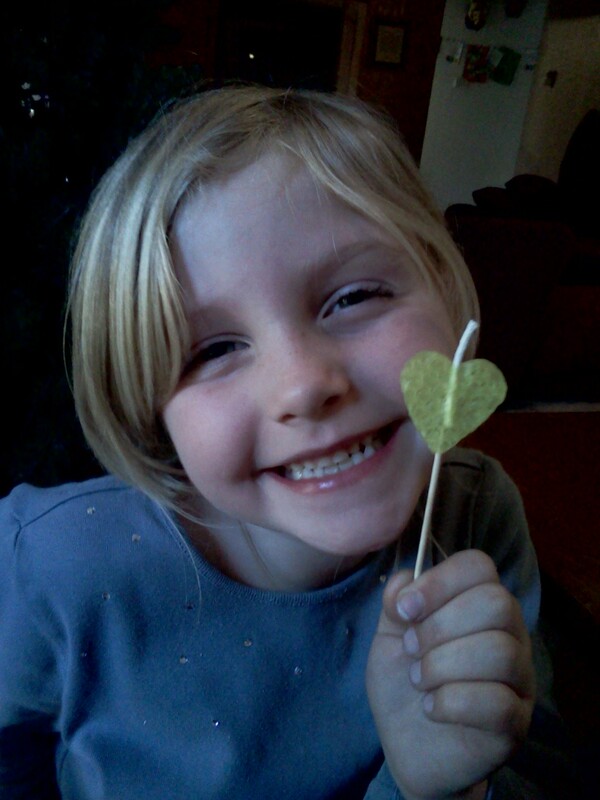 Hazel was able to do both of the heart shapes for our Valentine’s set, but the X and the O proved to be too difficult. The cookie cutters are quite tiny and the X and O were delicate, so I finished those pieces. Rather lovely, don’t you think? Leave us a comment and let us know what you think about our adventures in business! Keep coming back as we’ll continue posting about our products and processes, and coming in March we’ll be starting a candle give away! Don’t forget to check out Woo Who! on Etsy while you’re at it! We’re growing imaginations! 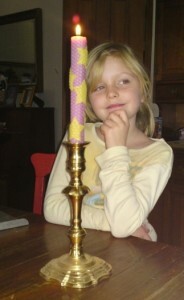 For Christmas my daughter received a candle making kit from the Magic Cabin and she LOVES it. 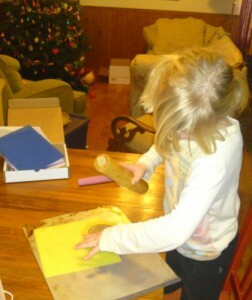 She’s six and rolling bees wax candles is a task that her happy little hands can handle. You must be at least 18 years of age to hold an account on Etsy. If you are under 18, you must have the permission and supervision of a parent or legal guardian who is at least 18 years of age; that adult is responsible for the account. If you are under the age of 18, you may not utilize the community features on Etsy (for example: Forums, Teams, Treasury, the blog, and multimedia Online Labs events), unless otherwise specified by Etsy. When using Etsy, those under 18 must, at all times, have the permission and supervision of a parent or legal guardian who is at least 18 years of age. Perfect! She definitely has my permission, and I’m happy to take complete responsibility of the account and product. 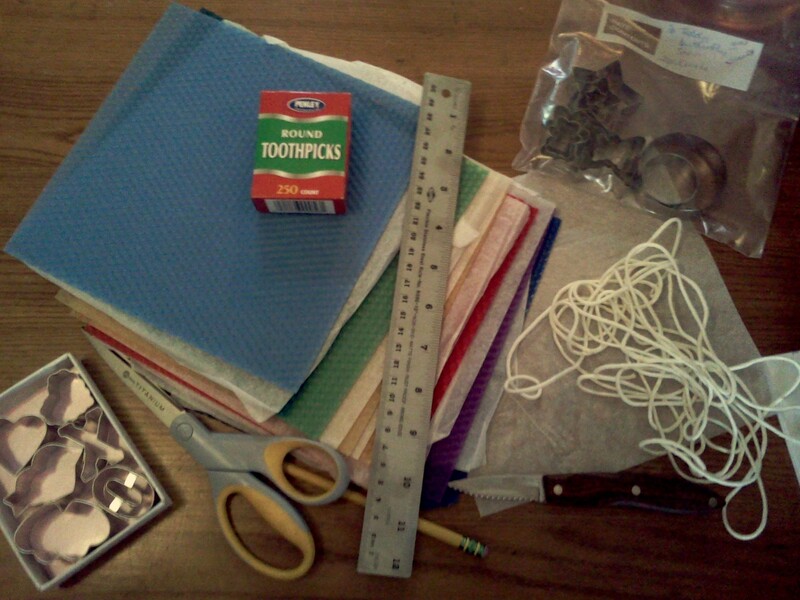 Besides, we’ll be making everything together, and she won’t be looking at anything on Etsy I haven’t researched first. Once I was sure this was something we could do, I asked her if she’d be interested? She loves watching me work and look at my Etsy shop, so I wasn’t surprised when she began to glow. I knew we’d hit on something. 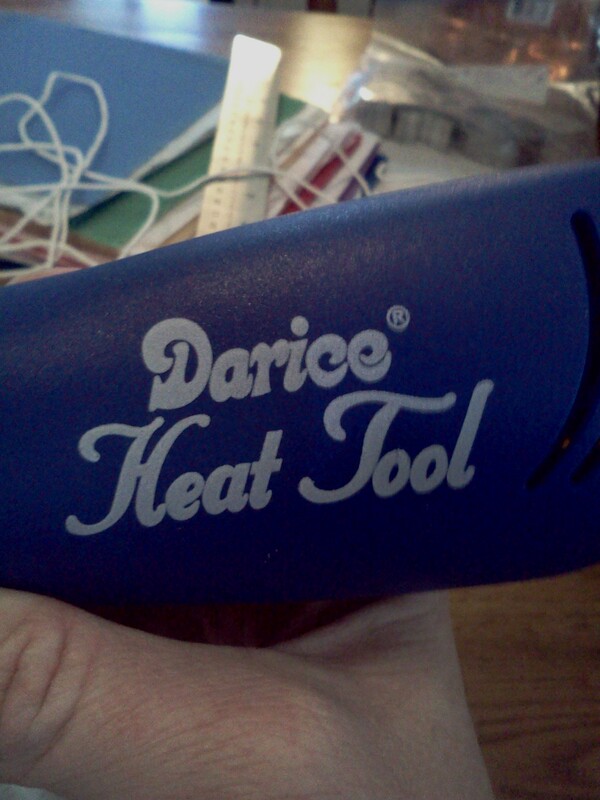 This is going to be a lot of fun for me, too, because its a no-pressure shop. When working on my shop and making decisions regarding my shop and product everything I do impacts sales. Starting a shop from the ground up with my kiddo is going to be a lot of fun for both of us as most everything children do is more about the process than the end result. 🙂 Stay tuned as we decide on a name, select our shop setup, and begin making our product! I’m eager to hear her opinions on everything, and I know she will give them to me, lol. Click here to enter to win a Valentine Heart Felt Garland!